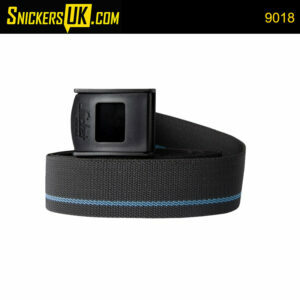 Snickers Belts – Fantastic range of belts designed to work perfectly with you Snickers Trousers. A must for the Snickers Workwear craftsman. Hardwearing fixed belt with non-scratch buckle. Durable belt featuring a rubber-coated metal buckle with a matte finish for a softer touch and a stylish, contemporary expression. Snickers Workwear printed on belt.